Spinal cord injuries can be some of the most difficult types of injuries to deal with. Depending on the severity, spinal cord injuries may interfere with your ability to walk, have sensation in your lower body area or even cause chronic pain. Spinal cord injuries are long lasting and sometimes difficult to properly diagnose and correctly account for. This is why you need a personal injury law team in Alberta with proven, precedent setting experience, reputation of integrity, professionalism, and a proven track record of success. We fight to make sure you get all the compensation you need. There’s no fees until we win. Submitting this form will not constitute a client-lawyer relationship. A spinal cord injury causes permanent changes in strength, sensation and body functions below the injury site. If you have sustained a spinal cord injury, it is very likely that every aspect of your life has been affected. You may feel the effects mentally, emotionally and socially. While the repair of most spinal cord injuries is not yet possible, treatments and rehabilitations may help you regain some independence and reduce the discomfort and pain caused by these injuries. Spinal cord injuries vary in severity. They can result in complete (no feeling or ability to control your limbs below the injury) and incomplete injuries (discomfort and some ability to control your limbs). In addition, paralysis from a spinal cord injury is known as tetraplegia or quadriplegia (hands, arms, trunk, neck, legs and pelvic organs are affected) or paraplegia (affects trunk, pelvic area and legs). Many of these symptoms are not immediately obvious. If untreated, a spinal cord injury can result in more severe complications, including gradually onsetting numbness or paralysis. It is important to first seek medical attention from a medical professional. Afterwards, it is important to gather as much evidence associated with your spinal cord injury claim as soon as possible. Information like witness contact details, pictures of the accident and filing a police report, are some of the steps you should immediately take, following a spinal cord injury. Our experienced spinal cord injury lawyers can help you build a case, perform all the necessary research and evidence gathering and can even help by paying medical disbursements during your case. If a family member or loved one has sustained a spinal cord injury as a result of an accident, that renders them unable to communicate, please reach out to us on his behalf, in order to recover the necessary compensation that will provide the best long term care possible. In many cases, insurance companies will try to offer you a settlement right away. Usually this type of early settlement dismisses most of the intricate details of a victim’s spinal cord injury. The early settlement offered by the insurance company will often not take the full medical expenses and adjusted living expenses into account, leaving you to pay for them out of pocket. 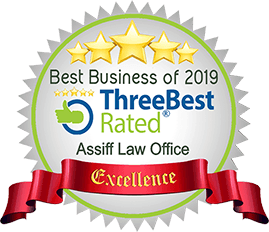 Our award winning personal injury lawyers have over 20 years experience and will deal with the insurance company from day one, letting them know that you mean to seek proper compensation for your injuries as well as other compensations you may be entitled to. We care. We understand, with our years of experience, what victims of accidents go through—from the obvious physical injuries to the impact they have on your day-to-day life, your job, your family and your overall well-being. Norm Assiff has set a precedent that significantly assists Albertans receive fair compensation. Norm Assiff is the first lawyer who has done that since the government imposed the Minor Injury Regulations in 2004. We Get The All Compensation You Deserve. We aggressively pursue all heads of damages available in law to fairly compensate you - not just for pain and suffering, but for loss of income, out-of-pocket expenses, housekeeping losses, costs of future care, etc. We want to make justice accessible. There will be no fee until you collect. We pay all disbursements and will do everything it takes to prove the full nature and extent of your injuries. This includes, but is not limited to, expert reports and analysis, litigation and trial. We will set you up with appropriate specialists to help you recover from your injuries. We pay for these expert reports and do not look to you to repay us.